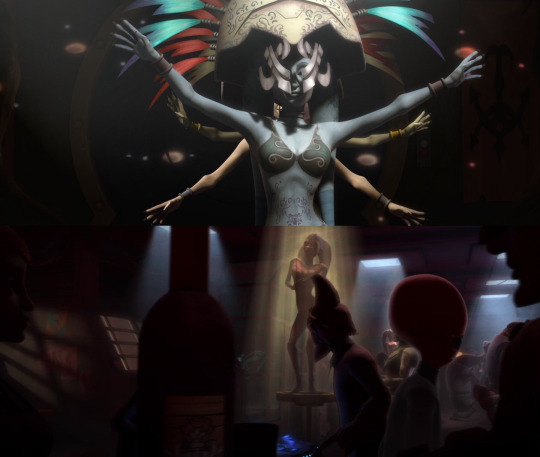 What makes Hera particularly admirable and fascinating is that she comes from a culture (Twil’lek) where women are normally slaves and dancers. This is actually something that I’ve discussed before at length, both privately and publicly, and I tried to address here. It a perspective that appears to be pretty common in the fandom and I feel disappointed every time it comes up. 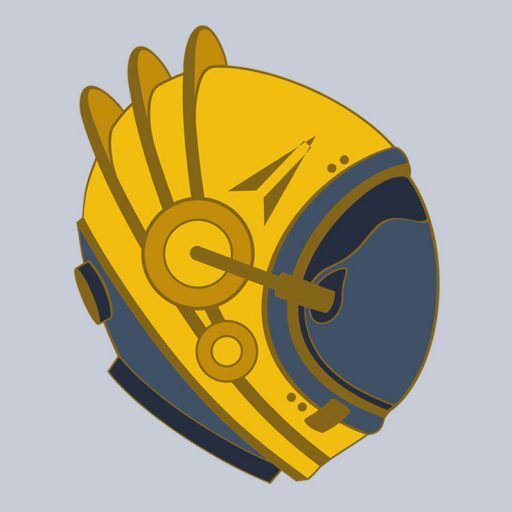 Hera doesn’t come from a culture of slaves and dancers. And even if she did, it wouldn’t be her look that made her admirable, it would be that she made something of herself independently. 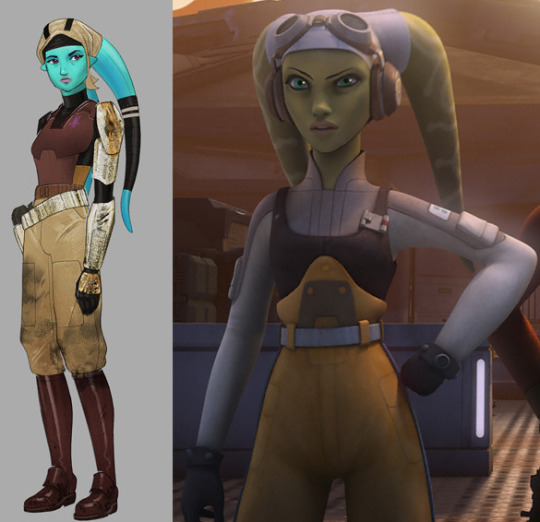 Hera’s species is Twi’lek. Hera is Rylothean, and so that would be the root of her cultural cues. Not only is she Rylothean, but she is the daughter of a political leader and planetary hero. A family that is of high standing (enough that Cham Syndulla ran for office against Orn Free Taa, and had the means to lead two resistances) and higher regard. 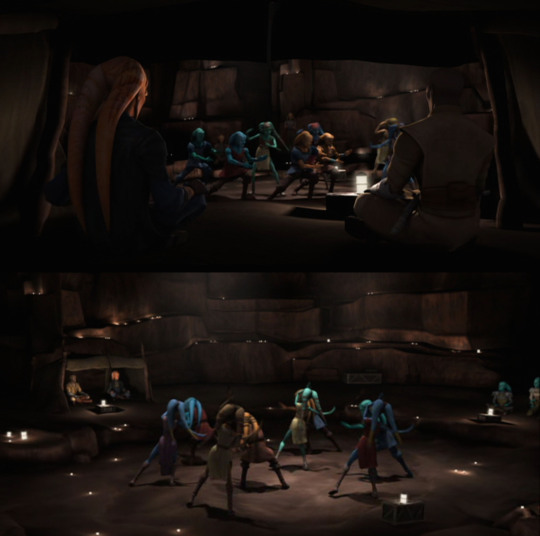 That means that she would have been even further removed from the galactically held view of twi’leks as commodities. Her species, and particularly her gender, has a history of objectification and enslavement, and if I recall correctly this was due to outside forces taking twi’leks. In a post-Republic world, as we saw in Lords of the Sith, many aspects of this have been brought home to Ryloth with Twi’leks being forced to serve their new Imperial overlords, or choosing to collaborate out of necessity. I forget exactly when Lords of the Sith takes place, but it’s safe to say that Hera was already be actively taking steps towards her fight and not a part of this subjugation. 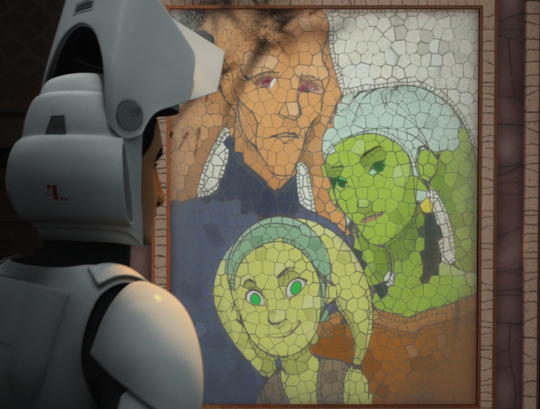 Syndulla family portrait, note how well dressed they are, particularly Hera’s (nameless) mother. 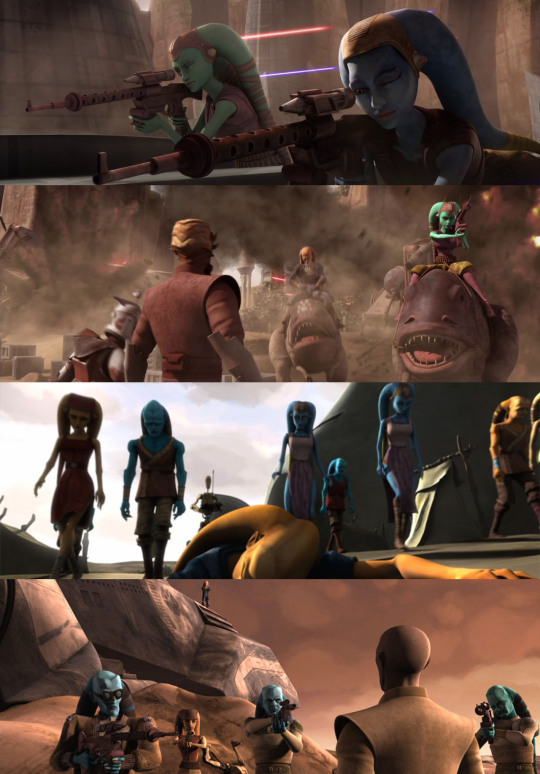 Rylothean women from various episodes in The Clone Wars, including civilians and freedom fighters. Numa and Hera, contemporaries both in age and in origin – young Rylothean women who grew up in the darkness of war and have come to fight for freedom (Hera was/is of a higher rank than Numa.) Their aesthetics are not so different, suggesting that this basic attire is a favoured and practical look for free(dom fighting) Rylothean women. This is a group activity, a celebration that is joyous and shared. Dancing for dancing’s sake. Stylistically and performatively, half a galaxy away. The culture of these dances couldn’t be more different, and Hera would have grown up in this society that celebrated performance and beauty rather than tried to sell it. These examples also clearly indicating the two main looks the show worked with.